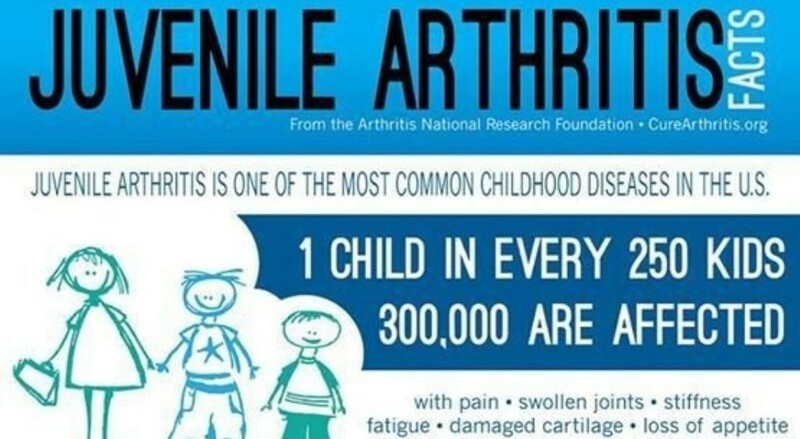 Juvenile arthritis is a disease that affects children ages 16 and under, and it involves inflammation of the tissue that lines the inside of the joints. This tissue is called synovium. Most forms of juvenile arthritis are caused by a malfunction of the immune system, which places it in the category of autoimmune disorders. An autoimmune disorder occurs when the body attacks it’s own healthy cells and tissues. The result is inflammation of the synovium. However, not all cases of juvenile arthritis are autoimmune. Another cause is labeled an autoinflammatory condition. The disease process behind an autoinflammatory condition is different from that of an autoimmune disorder. While autoinflammatory conditions result in inflammation and involve an overactive immune system, the similarities between it and an autoimmune disease end there. With an autoimmune response, the body releases proteins called autoantibodies that attack the body. An autoinflammatory condition involves a more primitive part of the immune system, and the reason it malfunctions remains unknown. What are the Symptoms of Juvenile Idiopathic Arthritis? Systemic Juvenile Idiopathic Arthritis – Arthritis symptoms with or preceded by an intermittent fever that lasts for at least two weeks. One or more of the following symptoms accompany it: lymph node, liver, or spleen enlargement, inflammation of the lining of the lungs or heart, a flat, pale, pink rash that does not itch and can move from one part of the body to another. Oligoarticular Juvenile Idiopathic Arthritis – Arthritis affecting one to four joints for the first six months of the disease. Polyarticular Juvenile Idiopathic Arthritis (Negative Rheumatoid Factor) – Arthritis in at least five joints for the first six months of the disease and all tests for the presence of Rheumatoid Factor proteins are negative. Polyarticular Juvenile Idiopathic Arthritis (Positive Rheumatoid Factor) – Arthritis in at least five joints for the first six months of the disease and two out of three tests for the presence of Rheumatoid Factor proteins are positive. Tests must be taken at least three months apart. Psoriatic Juvenile Idiopathic Arthritis – Patient has both arthritis and psoriasis or arthritis and at least two of the following: a relative diagnosed with psoriasis, nail splitting or pitting, or inflammation of one entire toe or finger. Enthesitis-related Juvenile Idiopathic Arthritis – This occurs where a joint capsule, tendon, or ligament attaches to the bone. The most common locations are the Achilles tendon behind the ankle and around the knee. Both arthritis and inflammation must be present or either one with at least two of the following: inflammation of the sacroiliac joint with inflammatory bowel disease or acute inflammation of the eye, enthesitis arthritis, arthritis in males over six years, a positive HLA blood test, a family history of ankylosing spondylitis, or inflammation at the base of the spine or in the lower back area. Undifferiented Arthritis – Symptoms do not fit with any of the six previous categories. Researchers now believe that both environmental and genetics play a part in the development of juvenile arthritis. This entry was posted in Health and tagged Arthritis, autoantibodies, autoimmune, autoimmune disorders, autoinflammatory, autoinflammatory condition, children ages 16 and under, disease, Enthesitis, Enthesitis-related, environmental, flat, General symptoms, genetics, healthy cells, healthy tissues, immune system, inflammation, intermittent fever, Joint pain, Juvenile Arthritis, Juvenile Idiopathic Arthritis, lining of heart, lining of the lungs, liver, lymph node, malfunction, Oligoarticular, overactive immune system, pale, pink rash, Polyarticular with a negative Rheumatoid factor, Polyarticular with a positive Rheumatoid factor, premier, premier lab, premier lab services, premier medical, premier medical lab service, Psoriatic, seven different types, six continuous weeks, spleen enlargement, stiffness, swelling, symptoms, synovium, Systemic, tenderness, tissue, Undifferentiated, warmth. Bookmark the permalink.